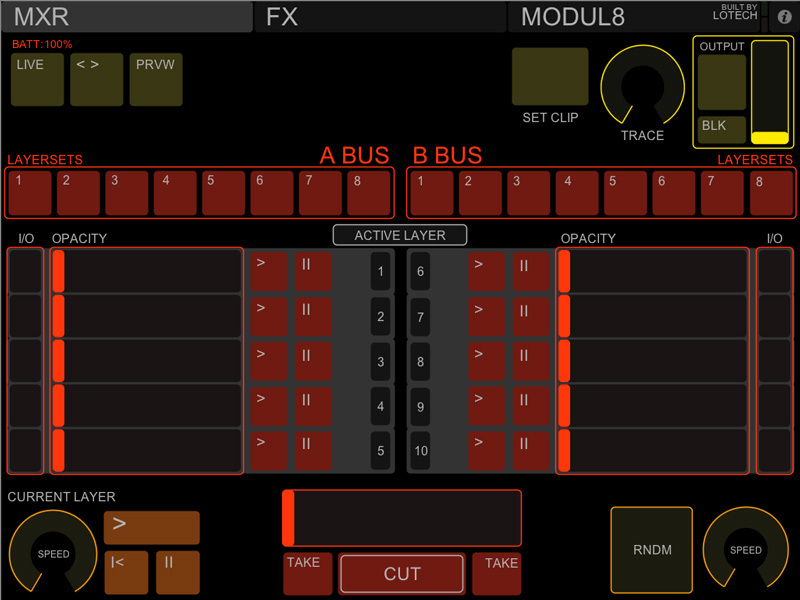 Requires (LT) Live Monitor & (LT) Clip Control to set all buttons. Preview Controls – Live, Preview & Switch. 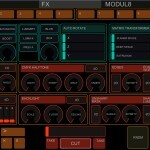 Modul8 PixelFX Controls (Saturation, Luma Key & Blur). Support for (CI) FX Plugins: Pixellate, Kaleidoscope, CMYK Halftone, Edges, Edges Work, Chroma Key, Backlight, Unsharp Mask, Sharpen Luminance. Requires (LT) Clip Control to set timeline scrub. OSCulator Template. Unfortunately I am without my iPad for the next 4 weeks so can’t share completed template yet. For now you’ll just have to manually setup this part yourself. Start new OSCulator document, connect via the settings on your iPad then press all the buttons on the layout. 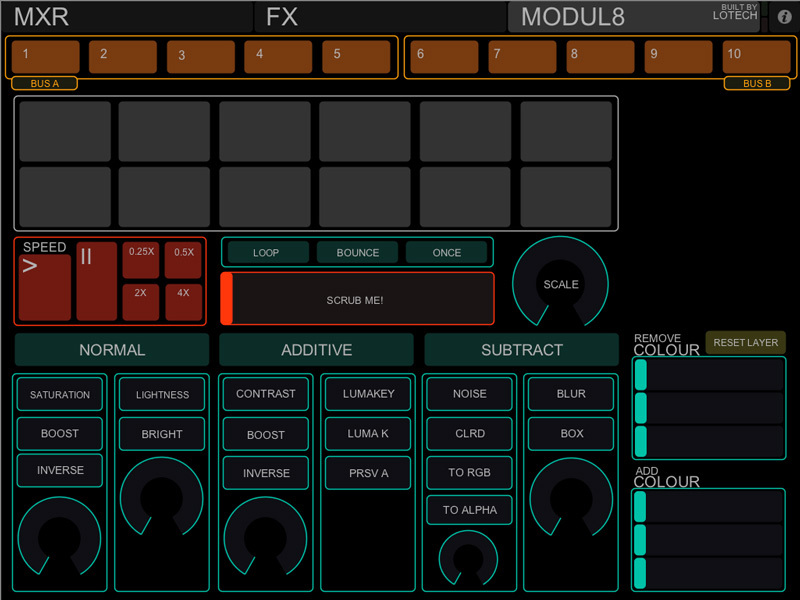 Start OSCulator before opening Modul8, otherwise it won’t detect the Midi device. 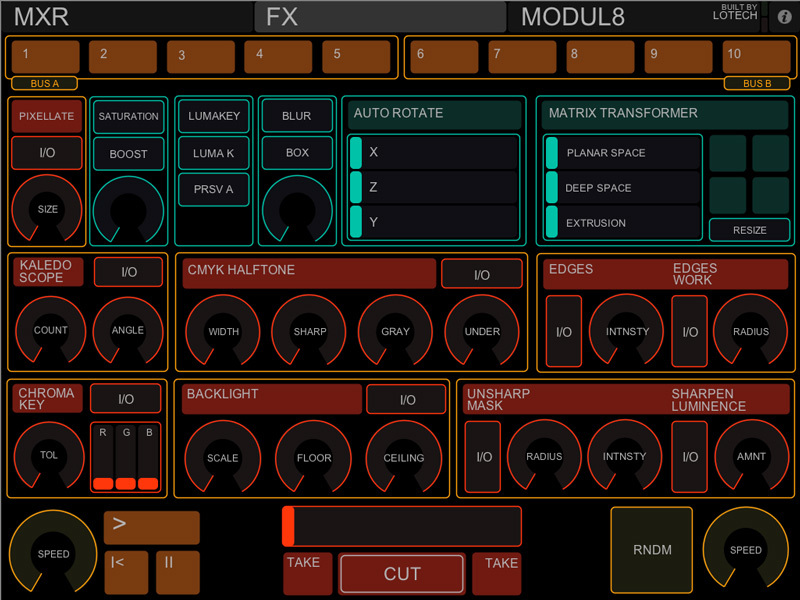 I had this running pretty much as I wanted it, and if you also want to you will need to set some midi mapping via the main mapping setup and others via UDARTs module. It can get confusing so expect to take some time to get it all working 100%. Feedback for current selected layer and layerset. Unfortunately UDARTS module doesn’t support sending these settings back to OSCulator. Midi return working for my modules. hey! thanks for this template im gonna try it out! ill tell you how i did when i finish up setting the OSCulator file!, thans for sharing! hey do you ahve to use OSCculator? 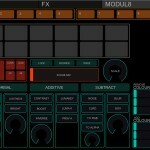 the new version of touchSC allows you to select midi message or OSC message so i guess you can just tell touchOSC to send it as midi and not have to use OSCulator, have you tried it? what do you think?